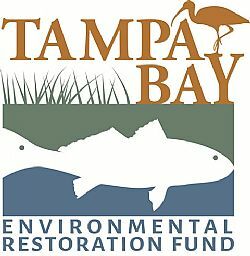 Proposals are now being accepted for restoration, research and education projects in the Tampa Bay watershed through the Tampa Bay Environmental Restoration Fund (TBERF). Between $400,000-$600,000 is available this year. Proposals of at least $25,000 from local governments, non-profits, universities and other groups will be considered, with a dollar-for-dollar (or in-kind) match required. Proposals must be submitted electronically by 3:00 pm EST, April 4, 2016. Late applications will not be accepted. Email completed proposals to graulerson@tbep.org. More info and the RFP is located at www.tbeptech.org/special-projects/tberf. The grant program is being managed jointly by the Estuary Program and Restore America's Estuaries, who have pledged to work together to recruit financial donors and achieve measurable conservation outcomes from the funded projects. TBERF funding partners for 2016 include the Southwest Florida Water Management District; Hillsborough County; The Mosaic Company Foundation; Pinellas County; and the Environmental Protection Commission of Hillsborough County. TBERF seeks applications for cost-effective projects that will implement the coastal, estuarine and freshwater wetland habitat and water quality restoration priorities that have been developed by the Tampa Bay Estuary Program and its partners, and outlined in the Tampa Bay Comprehensive Conservation and Management Plan, Charting the Course.